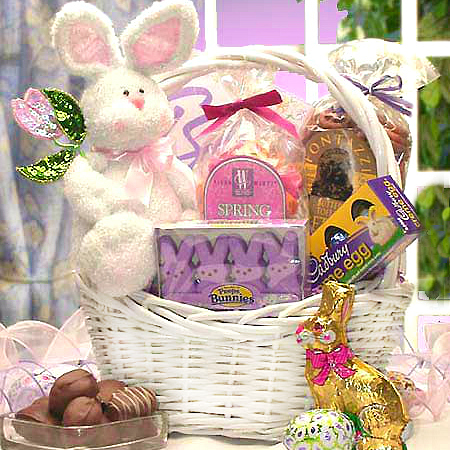 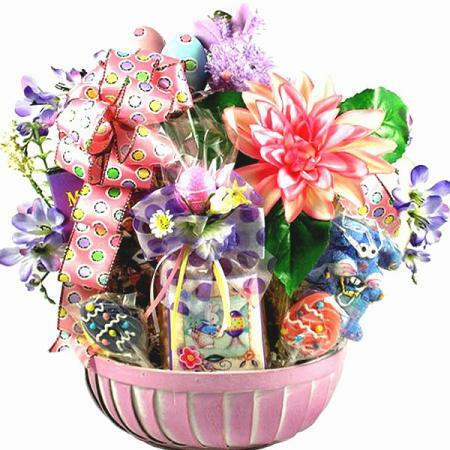 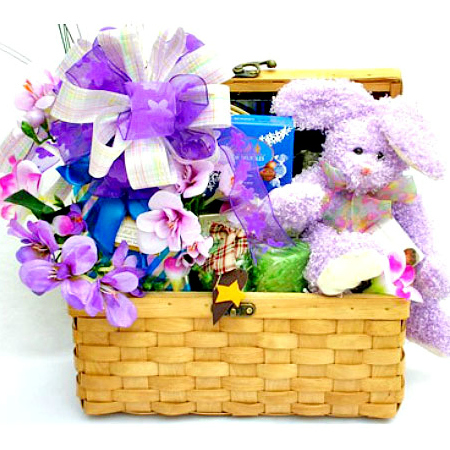 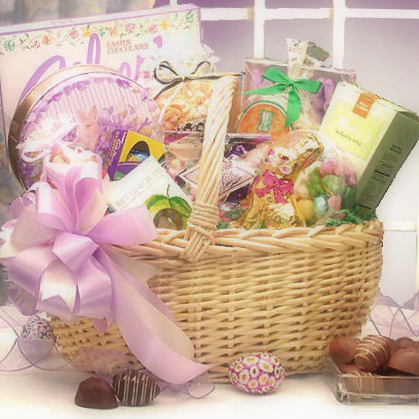 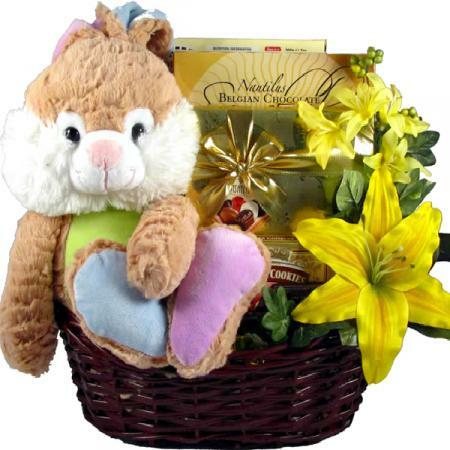 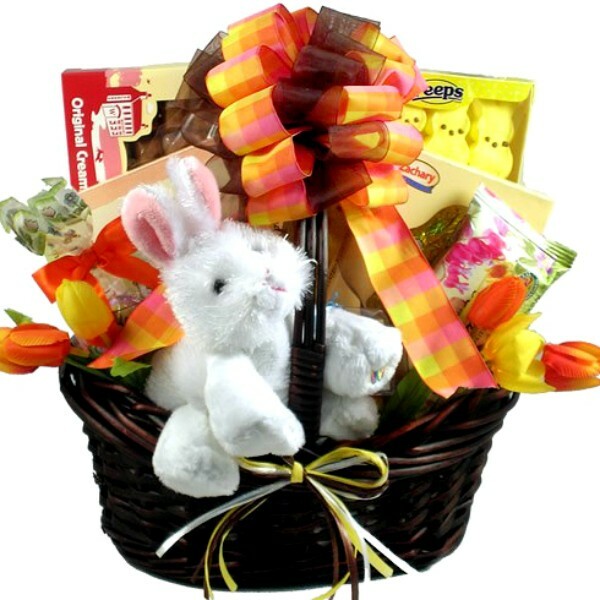 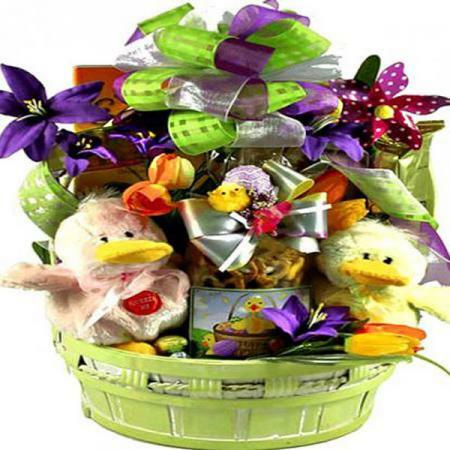 Send an Easter gift basket to delight and surprise. 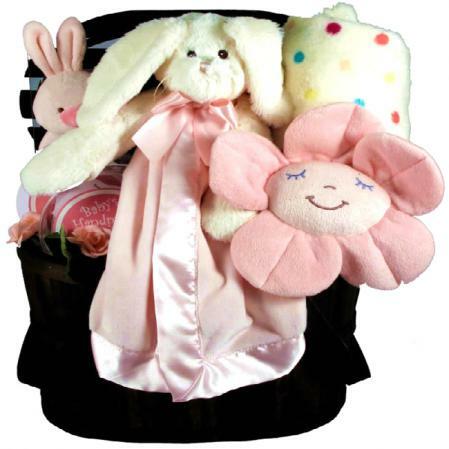 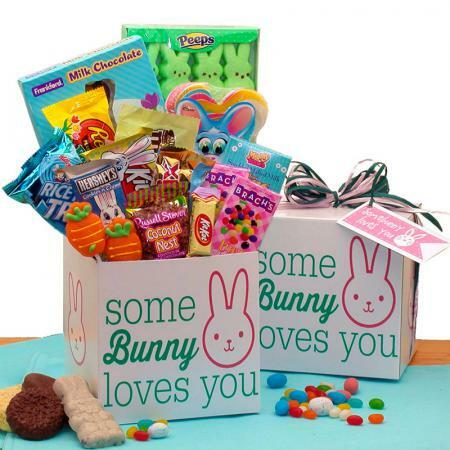 Little ones will love this smiling Easter bunny basket filled with yummy Easter treats. 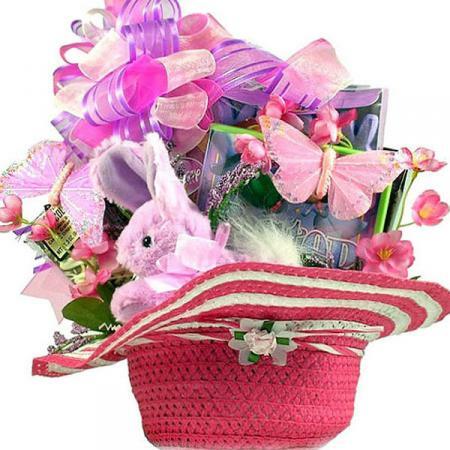 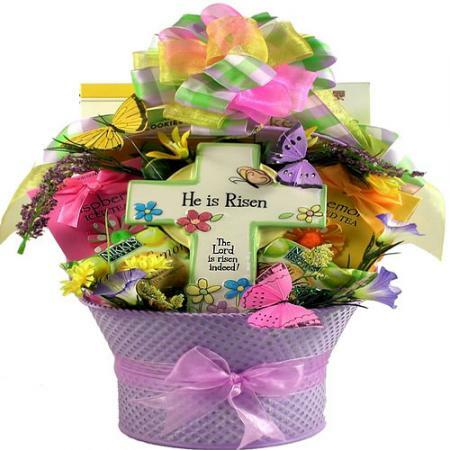 This one is one of the new favorite Easter baskets because it's just so darned adorable! 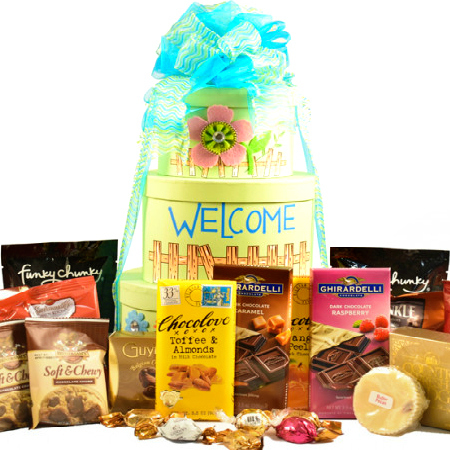 It also doesn't hurt that is has some of our most decadently delicious goodies tucked inside. 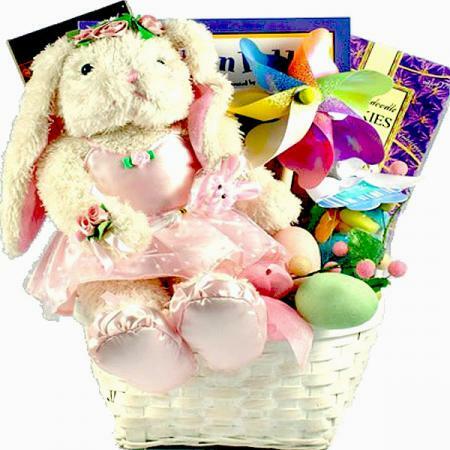 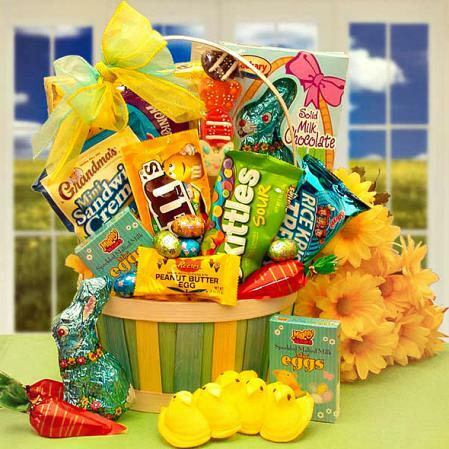 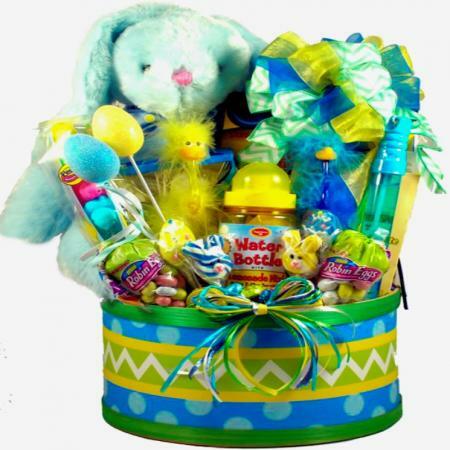 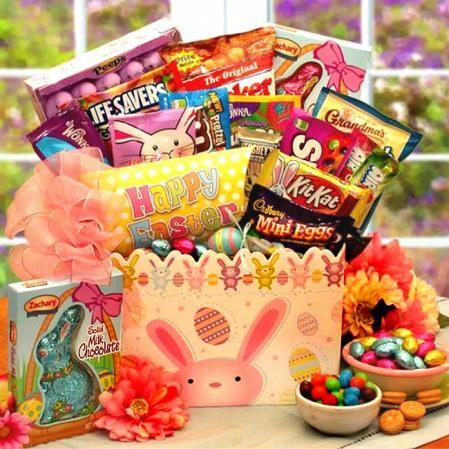 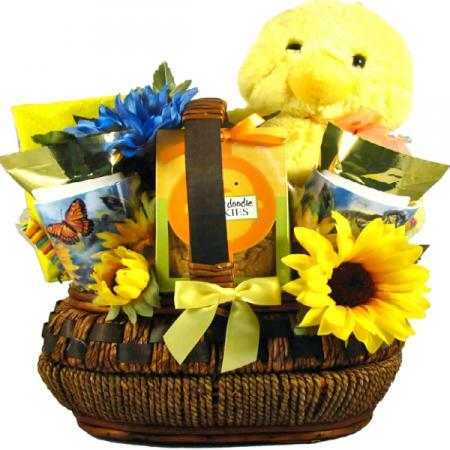 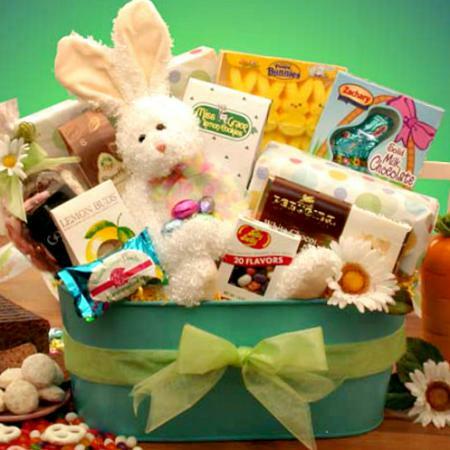 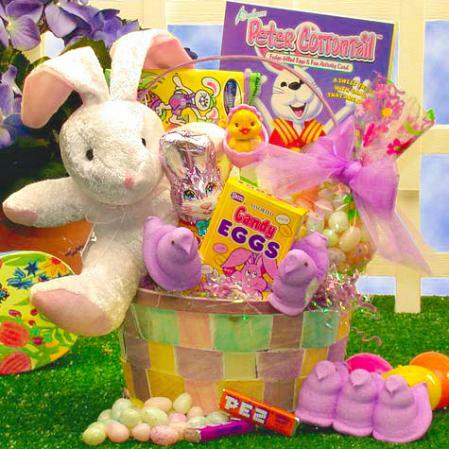 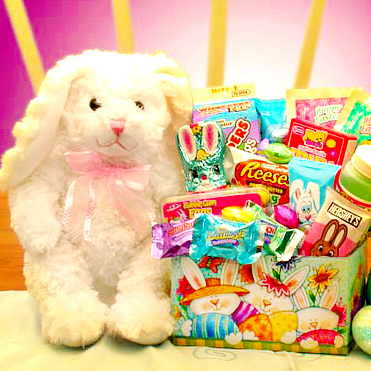 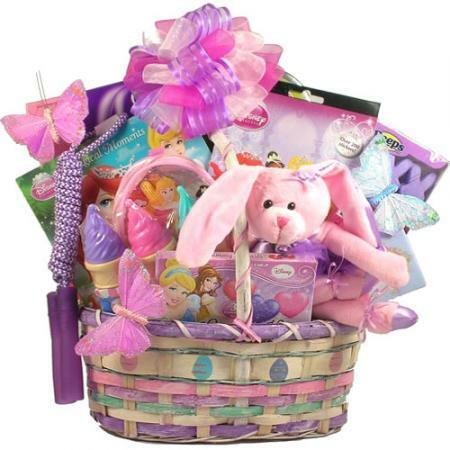 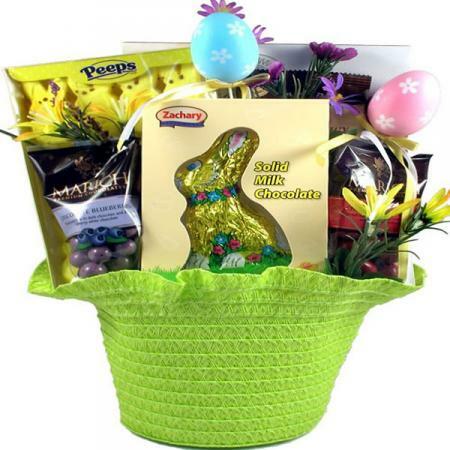 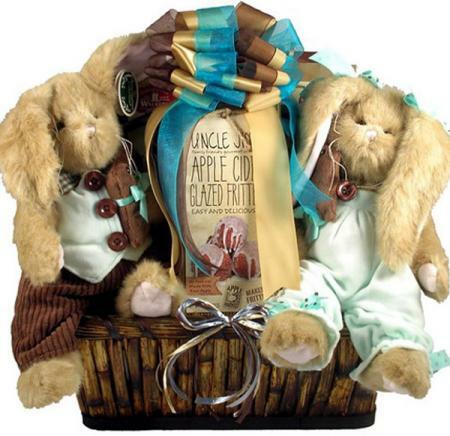 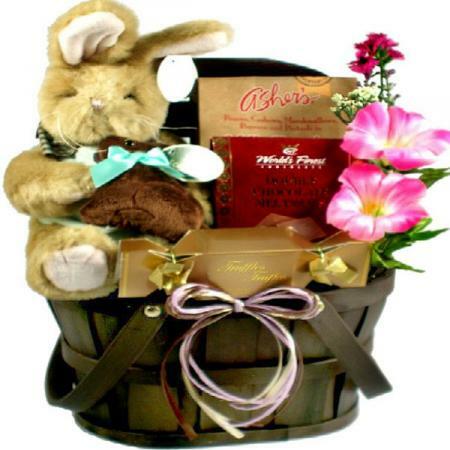 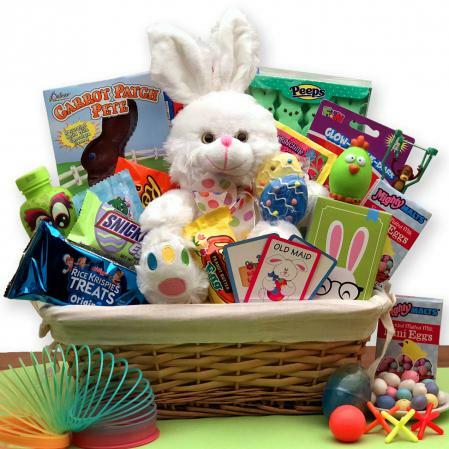 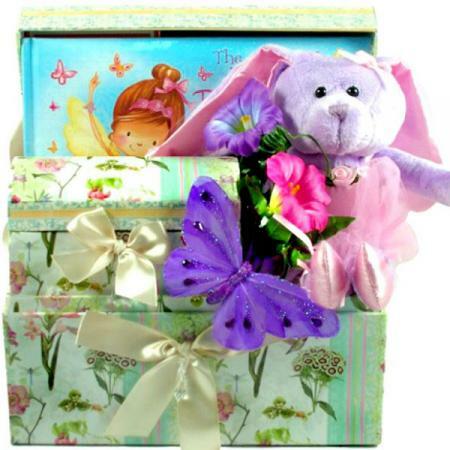 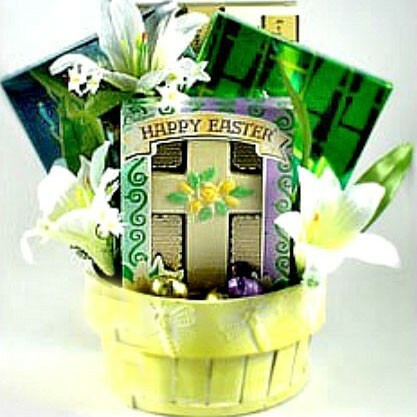 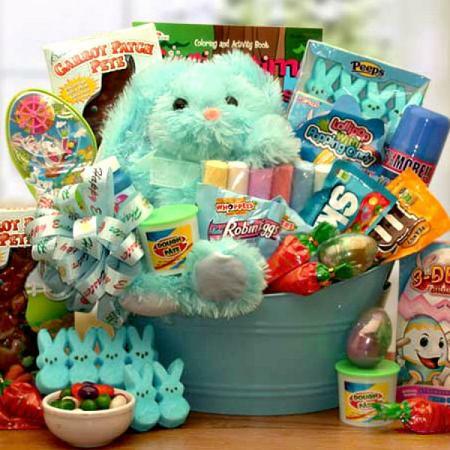 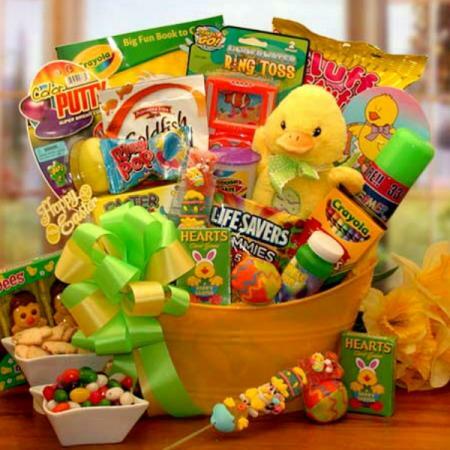 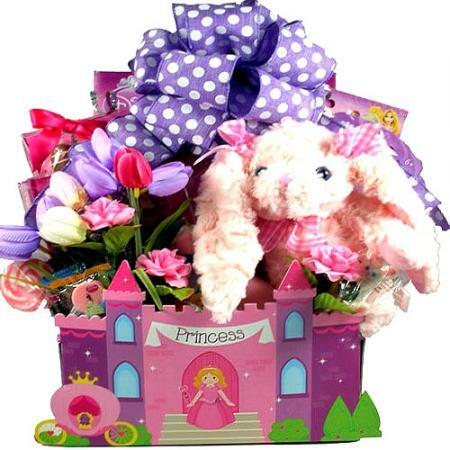 Click here to view more Easter gift baskets for children and adults.